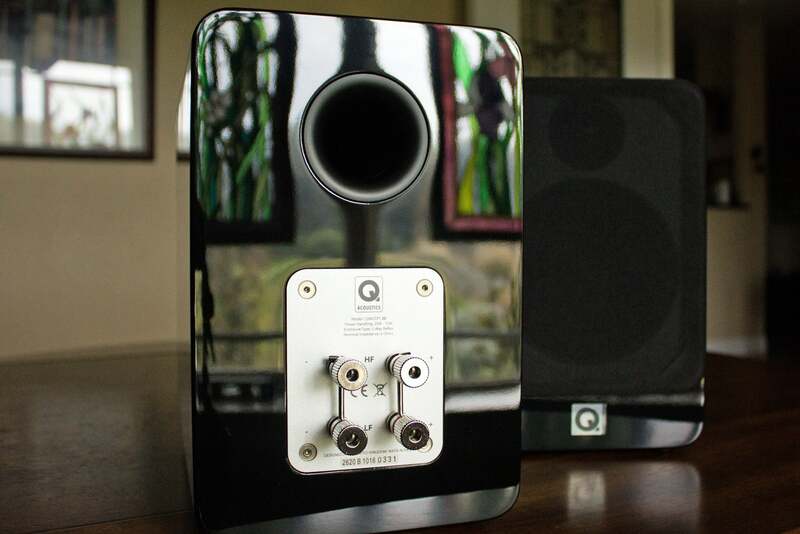 Sit down and listen to Q Acoustics’ Concept 20 and I think you’ll agree that it’s hard to believe these two-way speakers sell for just $500 a pair. From their glossy lacquer finish (available in black or white) to their carbon-fiber woofers and ferrofluid-cooled tweeters, you’d think they’d cost much more. The Concept 20’s signature feature is their cabinet-within-a-cabinet design. The enclosures are fabricated from MDF (medium-density fiberboard)—a material valued for its neutral acoustic properties—but in this case, the cabinets have inner- and outer walls of MDF bonded together by a layer of adhesive that never quite sets. Dubbed Gelcore construction, Q Acoustics says this design allows the kinetic energy produced by the drivers to be dispersed as heat, so that it doesn’t color the speakers’ audio reproduction. The cabinets are heavy (26.5 pounds each) and relatively deep (10.43 inches). Q Acoustics recommends placing them at least 200mm (7.9 inches) away from a wall, but if that’s not practical for your setup, foam bungs are provided for their rear ports. Plugging these in will prevent bass response from getting out of balance. The Concept 20’s tweeters are decoupled from their enclosures to further prevent the cabinet from coloring their output. Each speaker has one 125mm woofer/mid-range fabricated from carbon fiber and ceramic-coated paper, and one 25mm treated-fabric soft-dome tweeter behind its removable cloth grill. 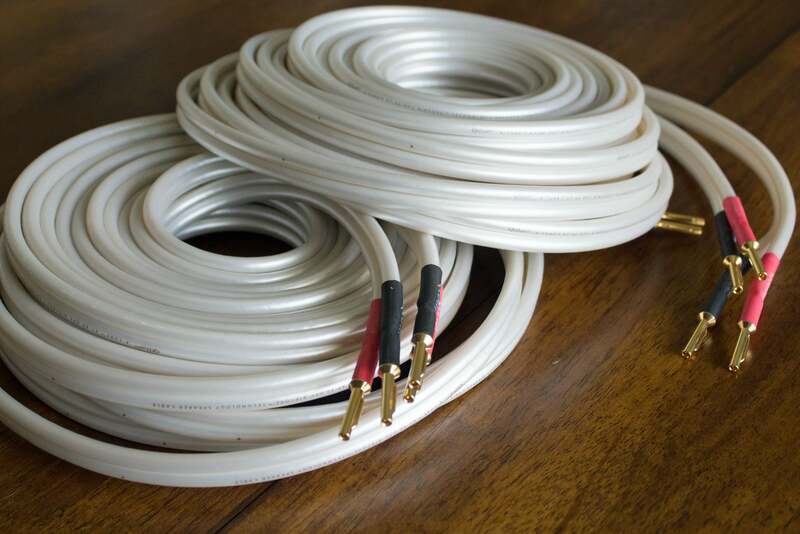 Each speaker has two pairs of binding posts to permit bi-wiring (i.e., connecting the high- and low-frequency drivers to the amplifier using separate speaker cables). A jumper post is in place when you take the speakers out of the box if you’d prefer to stick with conventional wiring, and that’s how I tested them. 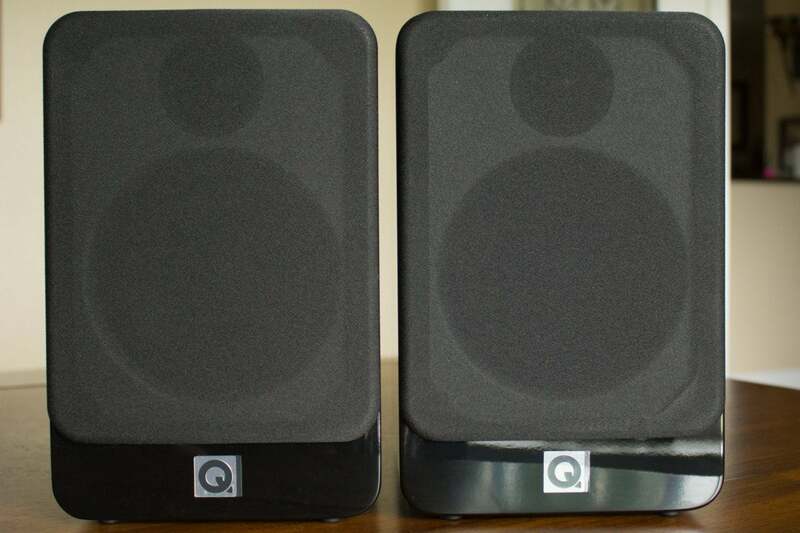 I evaluated the Concept 20 as a stereo pair, but should you want to build out a home-theater system, Q Acoustics offers a tonally matched center channel, the Concept Center ($310 at Amazon); just provide your favorite subwoofer. 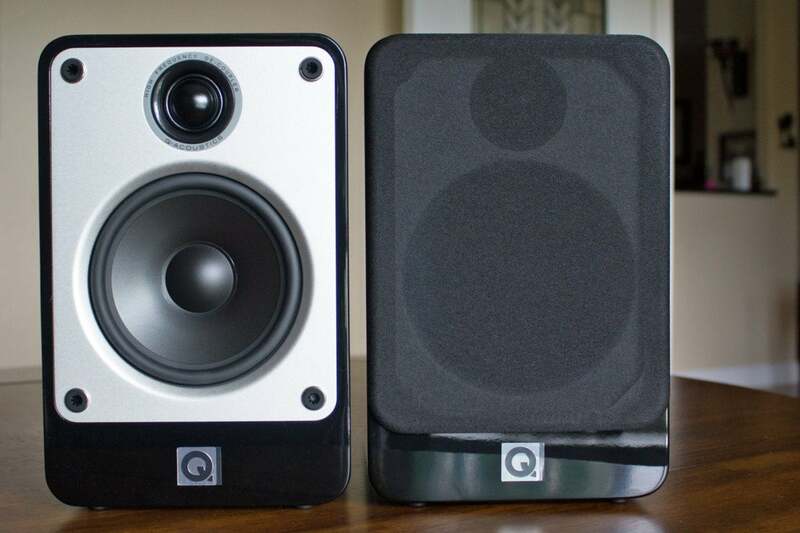 Q Acoustics offers bespoke floor stands that are a perfect match for the Concept 20 bookshelf speakers. Gel feet are provided to help isolate the cabinets from whatever surface they’re resting on, but there is no threaded mount in the back that you could use with third-party hardware to hang them on the wall. Q Acoustics does offer a beautiful set of floor stands ($280 for the pair at Amazon), but the company didn’t send those for review. I placed the speakers in front of my TV in my entertainment center for this review, which put their tweeters at about ear height from my listening position. I inserted the foam bungs since I couldn’t provide the recommended clearance behind the ports. I performed two sets of listening tests. 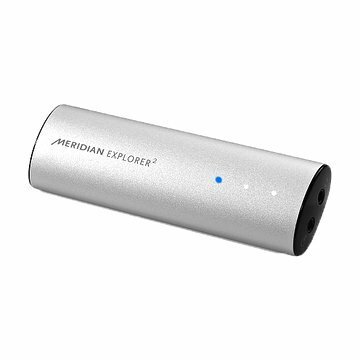 The first was with a Meridian Audio Explorer2 USB DAC plugged into an HP Envy x360 laptop, which was in turn plugged into an AudioEngine N66 Class AB amplifier. This amp was a trifle underpowered for this application. Q Acoustics recommends driving the speakers with an amplifier in the 25- to 75-watt range, and the N66 puts out only 22 watts. That combination had no problem filling my 247-square-foot home theater with sound, but I had to crank the amp to its maximum volume to get there. I also evaluated the speakers with a Naim Audio Uniti Atom. The Atom is a high-end network music player with an onboard 40-watt-per-channel stereo amplifier. The Concept 20 really opened up with the Atom, so I conducted most of my review with that unit driving the speakers. I’ll have a full review of the Atom soon. Two sets of binding posts—one for the tweeters and one for the woofers—allow you to bi-wire the speakers if you choose. I was immediately impressed with the Concept 20’s bass response. My home theater audio system is an oldie but goodie consisting of Klipsch Reference Series RF-35 floor-standing speakers, RC-35 center channel, and RS-35 surrounds coupled with a Boston Acoustics PV800 subwoofer, so I’m accustomed to hearing a fat foundation when I listen to music. The Concept 20’s bass response simply must be heard to be believed it’s coming from such a relatively small speaker. But you needn’t be concerned that these speakers are mere bass monsters. I discovered how well balanced they are across the frequency spectrum while listening to tracks such as “Let it Go,” from Morcheeba’s Fragments of Freedom. The track opens with high-pitched synths and acoustic guitar accents until a deep and laconic bass line comes in at the third bar. A slow vocal groove builds out from there until the chorus comes with a smattering of horns. These speakers gave each instrument its due in a perfect blend. I tested the Concept 20 speakers using QED Reference XT40 speaker cables. The Concept 20 proved equally adept reproducing acoustic tracks. The piano that dominates the Buena Vista Social Club’s “Pueblo Nuevo,” on the album of the same name, sounded as though it was right in the room with me. But you could also pick out each strike of the various percussion instruments playing in the background, and the speakers also perfectly reproduced the timbre of the trumpet solo that comes in two-thirds of the way through the track. Paired with the right amplifier, Q Acoustics’ Concept 20 bookshelf speakers will fill all but the largest of rooms with high-fidelity sound. They are beautiful to look at and incredibly well priced for the performance they deliver. The depth of their cabinets, and the absence of standard mounting threads, could limit where you can place them, so you might consider adding those floor stands to your shopping list. Q Acoustics has developed an incredible set of bookshelf speakers that will fill your home with sound without costing a fortune.